Don’t look now but the Miami Dolphins are within three games of the AFC Wild Card position heading in to this Thanksgiving Day matchup. It isn’t that they are going to miraculously come back and clinch a playoff berth, but when you consider that just three weeks ago they were being mentioned in the same sentence as the Indianapolis Colts and a potential winless season, they represent the perfect illustration of how quickly things can change. 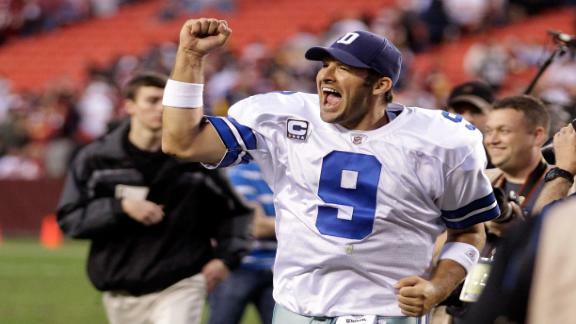 That concept isn’t lost on Miami’s next opponent, the Dallas Cowboys, which are suddenly in first place in the NFC East after registering three straight sports betting wins of their own. The difference in the Cowboys’ season has been their ability to win close games, with half of their six wins coming by three points or less, including two overtime victories. Dallas will play four of their final six games against teams with losing records, with the other two games both against the team they are fighting for the division title in the New York Giants. There hasn’t been just one key to the Dolphins’ turnaround, as the team is playing much better on both sides of the ball. Miami is averaging over 38 points per game compared to an average of just seven points against through three wins, with quarterback Matt Moore as the biggest surprise, including 160 passing yards and three touchdowns in last weekend’s win over the Buffalo Bills. Unlike at the beginning of the year when the Dolphins were turning the ball over and struggling to get it back, Miami has generated turnovers while doing a much better job of protecting the ball of late, including two interceptions against the Bills. Cowboys’ fans have plenty to be thankful for with their team at the top of the NFC East, especially considering that Dallas has won four of five at home and now have the chance to extend that hot streak against the Dolphins. Miami’s run defense has been much better recently, but Cowboys’ rookie running back DeMarco Murray will look to change that with an NFL-high 674 rushing yards since October 23. Murray’s gaudy totals have made things easier for quarterback Tony Romo, who has thrown eight touchdowns without an interception over that span. The Dolphins are have won three straight and are 5-1 in Thanksgiving games, but will be in tough on the road against a talented Dallas team that is finally beginning to play to its sportsbook potential. After struggling out of the gate, the Cowboys are hitting on all cylinders, and won’t give up the chance to potentially take over sole possession of first place in the NFC East. 105% Sign Up Bonus this week, don't forget to sign up - same day payouts.